There's a range of insurance options for photographers. If you're an amateur you may just be looking for the best options for gadget, travel or home contents insurance. Professionals may need to consider public liability insurance along with cover for employees and equipment. This guide looks at how to get the best insurance if you're a photographer. Whether it's to cover shooting a wedding or taking an expensive camera on holiday. Insurance is designed to give you peace of mind and protect you and your equipment if anything does go wrong. The best insurance will depend on your circumstances so this guide is designed to help you work out the cover you may need. 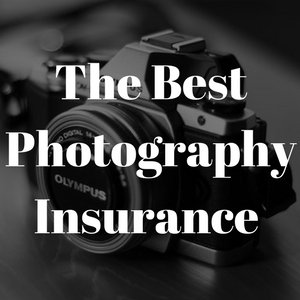 You can jump to reviews of photographer insurance companies here. We've split this guide between cover for professional and amateur photographers. Click on the heading to jump to the relevant section. What types of insurance for photographers are there? Will my contents insurance cover my photography equipment? What exclusions might there be for photography insurance? Public liability insurance can cover you if you injure someone or damage their property as a result of your work. Photographers often work in close contact with clients or the public and there are occasions when accidents happen. If someone was to trip over your equipment they could make a legal claim, which liability insurance, also known as third-party liability insurance, is designed to cover. Public liability insurance isn't compulsory for professional photographers but it does come as standard with most forms of business insurance. If someone does make a claim against you, it can help to pay any compensation and legal costs that arise from defending the claim. 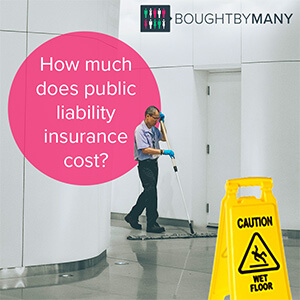 Check out our article on the cost of public liability insurance. If you run a photography studio you may need a greater level of business insurance to cover things like the building. It's best to speak with an insurer to find out the levels of cover that are recommended for your circumstances. Video equipment may be covered by a photography policy but it's worth checking your documents, especially if you own expensive digital or film cameras. Professional indemnity is designed to cover a claim from a client in relation to the work or services you have provided (or failed to provide). For example, if you accidentally deleted all of the photos from a wedding shoot or forgot a lens or piece of equipment that was essential to a job and you had to book more studio time, indemnity insurance could cover compensation for a client or additional costs. Cover levels can vary massively from under £100,000 to over £5m. Insurers should be able to help calculate the amount you'll need and whether it's possible to include professional indemnity cover as part of a business insurance package. As well as claims such as the above, professional indemnity insurance can sometimes cover you for things like libel and slander. If a client thinks you have made false or damaging comments about them, it may be able to pay out in the event of a claim. Photography equipment insurance can pay out if your equipment is lost, stolen or damaged. Along with the obvious benefit of a payout to replace equipment, some insurance can also help with costs if you need to hire equipment to complete a job while your equipment is out of action. It's important to make sure you value your photography equipment adequately. If you undervalue a camera or lens, you may not receive enough to repair or replace either if they are lost or damaged. Conversely, if you overvalue your equipment, there's a chance the insurance company won't pay out for your claim. Listing each item separately with your insurer may make it easier to keep an accurate record of costs. If you buy any new equipment you may have to speak to the insurance company and extend your cover. Most insurers will offer new-for-old equipment cover so you'll be able to replace lost or damaged items with new equivalent models. Insurers can often cover equipment if you're working abroad but it's best to check your policy to make sure the country you're visiting is included. If you have staff it's a legal requirement to have at least £5m of employer's liability insurance. This is to cover claims if they are injured or become ill because of the work they do for you. It's important to understand how employees are defined. Photographers and studios often work with friends and freelancers on an ad hoc or informal basis but even though they're not contract staff you may still need employer's insurance. If you have an employee and arrange their National Insurance and income tax you'll definitely need insurance but what about part-time or freelance workers? You're responsible for the wellbeing of people if they're at your place of business, using your equipment and you’re in control of what they do. So if they were to hurt themselves you could be liable and be expected to pay compensation if you don't have insurance. Business insurer PolicyBee suggests considering employer's liability insurance if the person you're working with fits any of the following criteria: they're employed by you by a contract of service or apprenticeship, hired to or borrowed by you, self-employed and working under your control or supervision, taking part in a work experience or training scheme, or they're a voluntary helper. Employers are expected to ensure all staff are safe and if your insurer doesn't think you have met your responsibility your claim may be rejected. There are some exclusions to employer's cover, for instance, any costs incurred from reputational damage may not be included. If you work with a family member you will not need employer's liability insurance. If you don't have employer's liability insurance you can be fined £2,500 for each day you are not insured. You can be fined £1,000 simply for not having your employer's liability insurance certificate on display or refusing to show it to an inspector. Business interruption insurance can cover you for loss of income if you are unable to work. Reasons for being out of action can include damage to your equipment or an injury. For instance, if you were to injure yourself in a fall while working a wedding, business interruption might be able to cover a drop in your income. The cover can pay out your pre-tax income for a set time or until you're back in work and may pay for some extra costs such as extra accountant's fees. All of the above insurance products are worth considering if you're a full-time wedding photographer or even if you're doing a one-off event. Optional Some policies may offer legal expenses cover as an extra. This will likely increase the price of your premium. All of these policies can be bought separately, as outlined in the sections above. However, purchasing them as a package deal may save you some money. While it isn't a legal requirement to have wedding photography insurance, it is recommended by the Society of Wedding and Portrait Photographers. If you're getting married and are looking for cover for the big day, have a look at our article on the best wedding insurance. Will my home contents insurance cover photography equipment? It's possible that home contents insurance will cover some photography equipment. Home insurance companies generally have a valuable item limit, which means anything you own over that cost will need to be declared separately and anything under it will be included as standard. The limit varies between companies but is often around £2,000. You can still get cover if you declare a valuable item but it may increase the cost of your premium. You'll need to check other cover options and levels, such as whether you have accidental damage cover. Some comprehensive policies include it as standard but others offer it as an add-on. It would pay out if you break a camera by dropping it. Companies like Hiscox and John Lewis Finance may be able to cover some of your more expensive items away from home. Their policies can cover items such as phones and laptops, and can often be extended to include cameras. This part of the policy is sometimes an optional extra. Make sure you check your policy wording to ensure your camera is covered under your home insurance, and if it is, where and for how much it is covered. If you cover your camera on home insurance and have to make a claim it may mean your premium increases when you renew your policy and you could lose your no claims bonus. For this reason, some people cover cameras on separate gadget insurance policies, which you can find out about below. Check out our guide to top 10 home insurance companies to find out more. Some people prefer to insure cameras on a separate gadget policy. The benefits are that gadget insurance may have specialist features that help with repairs or replacement and any claims will not impact a no claims bonus you may have built up on your house insurance. However, gadget insurance is often designed for mobile phones or laptops so the cover limits may not stretch to high-value cameras like a Leica M10 or a top-of-the-range Canon EOS. It's important to check individual item limits. A policy with a £2,000 total limit may only have a £1,000 item limit. Check out our guide to the best gadget insurance. We also have an exclusive offer on ZugarZnap gadget insurance. Members of our gadget insurance group can get 10% off a ZugarZnap policy, which offers up to £2,000 of cover at a fixed price that will never increase, regardless of claims. Some gadget and home insurance policies allow you to take devices such as cameras abroad. However, adding international travel may increase your premium and if you claim you could lose your no claims bonus. Most standard travel policies are unlikely to cover expensive camera equipment. The important part of the policy to check is the single and high-value item limits, and whether there are exclusions for photography equipment. Travel policies are unlikely to cover professional equipment if you're working abroad, unless you've bought a specific add-on. Single item limits tend to be under £500, which will cover some cameras but not high-quality models or lenses. We've listed travel policies with high single-item limits here. They include John Lewis Finance, which has a £400 limit and a technology add-on that features £2,500 of gadget cover and a £1,500 single item limit. If you have student insurance, you may be able to get cover for your camera equipment. Student insurance usually covers the contents of your room, including clothes, jewellery and electrical goods. Sometimes items like desktop computers are covered but mobile phones are not. This is because gadgets you take outside of your room carry a separate risk. However, you can usually insure things like cameras as an additional extra. Generally, there are limits to this. For instance, Endsleigh requests that you specify any item worth over £500 but less than £1,500. This means if your camera costs £750, you would be covered by their additional item limit. However, if it costs more than £1,500, you won't be. Student insurance will generally protect you from floods and fires. However, theft has some conditions. Usually, there has to be evidence of forced entry into your building. This means that if you left your window open and your camera was stolen, you probably won't be covered. Accidental damage is not always covered but can often be purchased as an additional extra. Make sure you read your policy documents so you know exactly what's covered, and check that you can get your camera covered. Read our article on the best student insurance for more information. What exclusions might there be for photography equipment? There may be some exclusions to your photography insurance. Companies may have a limit to how long they will cover your equipment abroad; for instance, Endsleigh offers protection for your equipment for up to 30 days abroad. Insurance companies also may not provide cover for hired equipment, or equipment you have borrowed to use. You will usually also have to provide evidence of your ownership if you need to make a claim. Theft cover may have some requirements for you to be able to make a claim. Most of the time, your camera should have been adequately secured at the time it was stolen for you to be able to make a successful claim; Eversure, for instance, will not pay out for a claim if your camera is stolen from a tent or caravan. However, it can pay out if your camera is in a locked hotel room. Moreover, if your camera is stolen from an unattended vehicle, the vehicle usually has to have been locked and the keys removed from the car. Your camera equipment also may have to be hidden in the vehicle, in, for example, a covered boot or a glove box. For those policies that will only insure your equipment while it is inside your home, you usually won't be covered if you leave your home unattended for a specified amount of time. So, if you went on holiday for four months, and your cover will only insure your item while it is in an unoccupied house for 60 days, you may not be able to claim. Aaduki offers both photography insurance and videomaker insurance. It provides public liability cover of £2 million, employer's liability cover of up to £10 million and professional indemnity insurance of up to £75,000. It also offers cover for photography and computer equipment, both at home and away from home. This includes 60 days cover worldwide, theft from an unattended vehicle, and accidental damage and loss cover. You can increase these limits by contacting Aaduki if you require a higher level of cover. Infocus offers two photography packages, Basic and Standard, as well as the option to create your own. Its Basic package includes £100,000 professional indemnity insurance, £2 million public liability cover, as well as crisis containment insurance, which can help you rectify any crisis that can result in adverse publicity. Crisis containment insurance can give you access to a public relations crisis specialist that can help by giving you advice and managing the situation. Infocus's Basic package also includes cover for photographic and technical equipment up to £5,000, as well as add-ons of personal accident insurance and commercial legal expenses insurance. Infocus's Standard package includes the same levels of professional indemnity, public liability and crisis containment insurance as its Basic package. However, it provides £10,000 photographic and technical equipment cover, business contents insurance of £2,500, and insurance for computers of £3,000. Markel Direct offers public liability insurance ranging from £1 to £5 million, employer's liability of £10 million, professional indemnity insurance with cover ranging from £50,000 to £5 million and equipment insurance that can cover your photographic equipment both at your home/offices and while in use, as well as in your vehicle. E&L offers both amateur and professional photography insurance. The company offers photography equipment insurance of up to £20,000, including new for old cover, hire cover for replacement equipment of up to £1,500, personal accident cover of £7,500, and public liability cover of £1.25 million per incident. It can also cover you either just at your insured address, or for use outside the home too. Photoshield offers three package policies as well as the option to create your own bespoke insurance package. The cheapest option of £99 offers professional indemnity of £100,000 and public liability cover of £2 million. Option 2, priced at £199, offers the same cover as above with the addition of photographic equipment cover worldwide of £5,000, legal expenses of £100,000 and professional indemnity cover of £100,000. Option 3, costing £299, covers photographic equipment worldwide for £10,000, covers your laptop worldwide for £1,500, insures your static computer and computer equipment for £3,500, provides business interruption insurance of £250,000, and the same levels of professional indemnity, legal expenses and public liability cover as Option 2. Eversure offers cover focused on equipment insurance. It can insure theft and accidental loss or damage from £300 to £50,000, as well as hire for equipment for a maximum of £2,500. It also offers personal accident cover of up to £5,000, and the optional extras of public liability cover of up to £5 million and professional indemnity of up to £100,000. On top of these, the company can offer additional worldwide cover for your equipment. Endsleigh provides photographic equipment insurance. The company provides theft, accidental damage, liquid damage, loss and fire and flood cover. You can insure gadgets of up to £2,000 of value per gadget. This means if you have a whole host of gadgets, you should be able to insure each separately. The company offers a 10% discount if you are insuring two gadgets and a 15% discount if you insure three or more. It also boasts a 24-hour replacement service if your camera is lost, stolen or unrepairable, and cover for up to 30 days abroad. If you're looking for different types of business insurance, check out our groups for business insurance.